Hello everybody I'm French and i hope you understand me I'm 36 years old and i love Bon Jovi since more 10 years......See ya and hand. welcome to you Ginie ! I am french too but english is the only language that everyone can understand here ! so it's a good way for us to practice our english ! Thank you i'm very happy to know you! 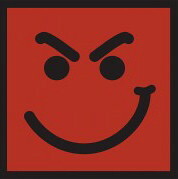 !Bon Jovi is my garden secret too and this year i can live an extraordinary adventure i can speak and share with other people what i'm feeling it's wonderful!!! WO HO!!! New member! Welcome to the familly! Hope you'll like it here! I'm sure you will! I'm Croatian so we're close. I don't speak Fench but now I'll start when I'm gonna go to high school so you can help me. Lol! So glad you're with us! Thnx Doyle! That's how I met you! And now I feel like we're familly! We will be when we move into our house in NJ. Ok i will be happy to help you...See at soon HAND! Ihope that the house is big!!!!!! It will be! we will all have our own big room! Well i see that ...Bon Jovi's girls room!!!!! In fact rooms with Jon's pics all over the walls!! !and what kind of pics ???? ?very hot i think.......!!! YEAH! We're gonna live next to him so we won't need those pics. We're gonna see him every day like on those pics! that's COOL,we can say morning to him and Doro everyday!!! you're sure that Doro let us say hello!! !If she read our messages ...i'm not so sure!